Our music is another factor which guarantees a multisensorial experience. The taste of our dishes and the marvellous views from our visual surrounding complement the sessions from our local DJ’s, who will transport you to a surreal land through the best music. Sundays are for FunDays at our beach club in Palma de Mallorca! Assaona offers a different way to celebrate your weekend. 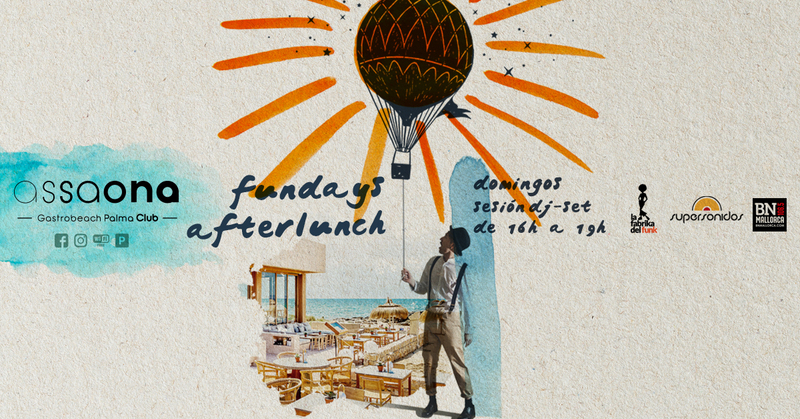 Every Sunday from 16h to 19h you can enjoy different DJ sets brought to you by our resident DJ’s, DjTonino, Tito Fuster and Carlos Bonet at our after lunch event at our Gastrobeach club in el Portixol.